Social media is a great branding tool for your business but it can open the floodgates for negativity from angry customers. If you do experience some backlash, it's important to stay calm and keep a level head. Remember that social media is a public forum and anything you say in the heat of the moment can be held against you or, more importantly, your brand long after the issue is resolved. By thinking ahead and coming up with a strategy, you can optimise your responses to ensure you always reach an outcome that satisfies both parties and keeps the integrity of your brand intact. 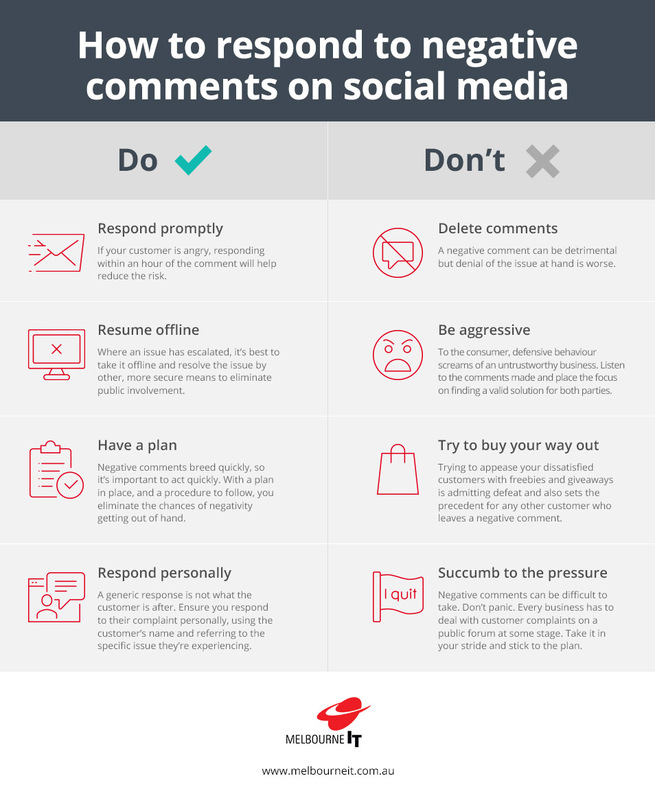 Take a look at the following guidelines to help you manage brand negativity on your social media pages.